Business Communications in the 21st Century, lets call it Digital Marketing shall we? So what is Digital Marketing and do I need it? Digital Marketing is something you may already be doing, in part. A collaborative term that includes the use of not just your website to market your products or services online, but also the social media aspects of marketing such as Facebook, Twitter, Pinterest, YouTube and man many other channels. Email campaigns, targeting your followers, existing and new clients. 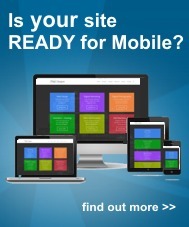 Have your thought about reaching out to your mobile and tablet audience with an App? What about keeping your audience up to date with a Blog or News site that runs either as part of or alongside your core website? Online advertsing with Google Adwords is just one of many well versed channels, but did you know other networks are also available? Affiliate marketing can also form part of your Digital Marketing Strategy, to empower others to seed your business growth. Digital Signage, though a more suited to retail, hospitality, training, education and high footfall areas can also ensure your message is presented about your products or services available. Ideal if you have several locations, sites and want to ensure the same message is broadcast to all. Snapchat, Vine, Instagram and a multitude of new digital media channels too are all waiting for you to help you reach out win new customers. What can Digital Marketing do for my organisation or business? Well just because you can, doesn’t mean you should. Each part of Digital Marketing, needs to be evaluated to check suitability for your products to customers and services to clients. Take Snapchat for instance, at time of writing only 20% of users were aged 25 years or older. So, if your product or service serves an audience of 50+ years of age, perhaps the priority of setting up and broadcasting via Snapchat should be left until other more specific mediums are addressed. If you know your website converts visitors into customers well, then lets go out and find you more of the same. The beauty of Digital Marketing is that all actions can be held accountable. It helps you monitor that all important return on investment ROI. Statistics, Analytics and Reports galore can be used to help you decide which aspects of your digital efforts are working, which are stalling and which are costing you an absolute arm and a leg. We can start when you like, lets get a clear understanding of your business goals, budgets and existing methods. Contact us today, to introduce yourself and we look forward to hearing from you.